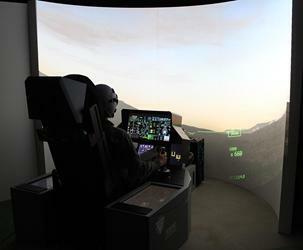 Combining latest technology, touchscreen monitors and adaptable software, we can now offer a simulator which will act as the F-35, but it will also allow for variations to other aircraft models, including F-18 Hornet, F-14 Tomcat, A10 Thunderbolt, Eurofighter and also can act as a helicopter simulator. This simulator offers complete flexibility. General Dynamics F-16 Fighting Falcon has always been a very formidable military aircraft. Now you too can fly one! With the latest F16 Simulator which can be supplied complete or can be purchased in modules subject to affordability. Alternatively, for the homebuilder we can provide the modular sections, frame, seat, computer, curved screen and projectors separately. Please ask for details. Fighter Aircraft Ejection Seat Replica. 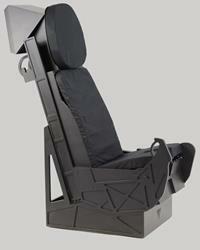 Choose between the two types of ejection seats that best suit your simulator experience. Choice of the Aces Ejection Seat which is modelled & inspired on the F-16 Fighter or the F-35 ejection seat modelled on the latest VTOL Fighter. Here is the preview of our new product - Curved screen for simulation and gaming! It's light and modular. Imagine, you may get over 400 cm curve needing just 250 cm width! Plus, we achieved it with just one short throw projector!